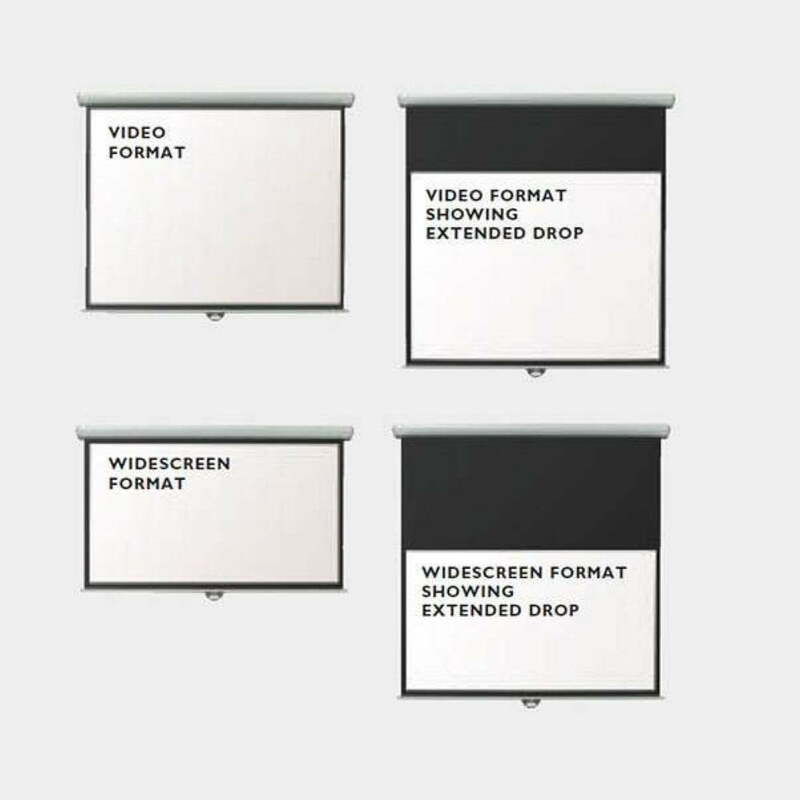 This Metroplan projector screens would make you forget any trouble a wrinkled and wavy screen may bring you. 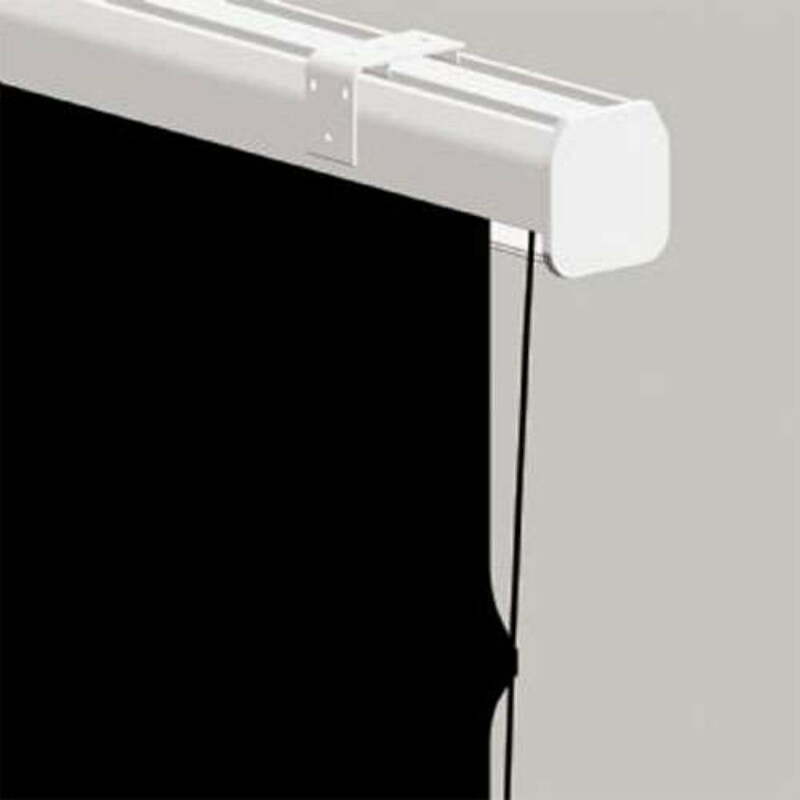 The range is made with a Tab Tensioning System that runs on the entire surface of the screen, from left to right. 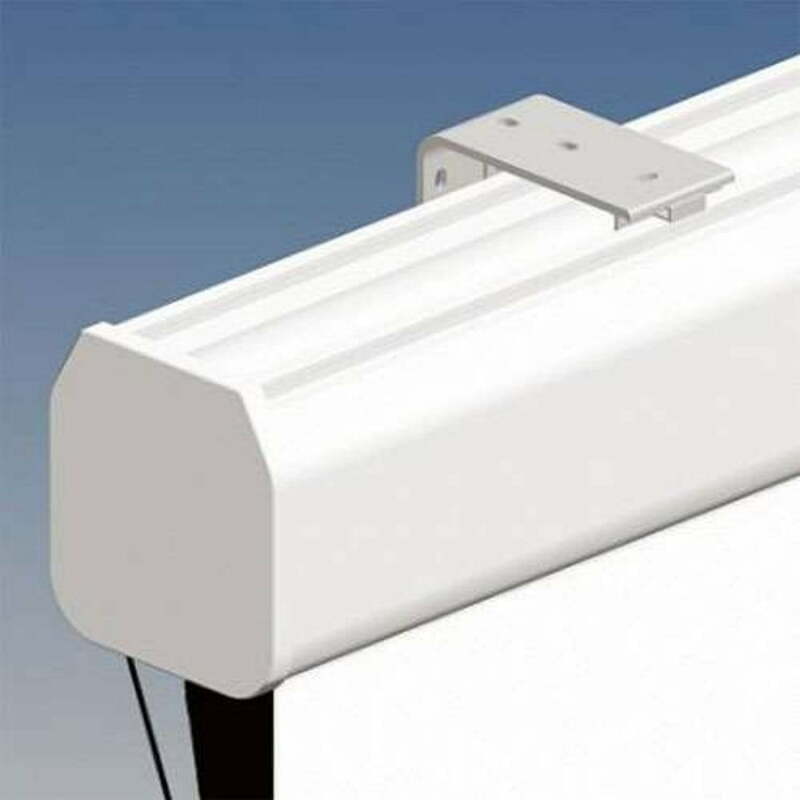 In addition to that, the screen is also easy to mount as all brackets for wall and ceiling mounting is already supplied as standard. 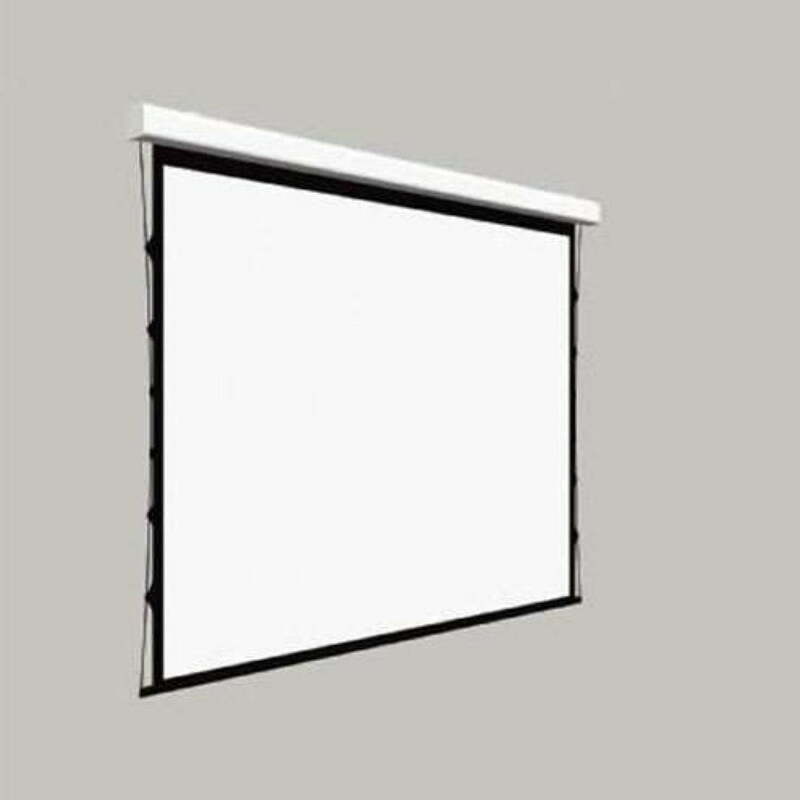 The PVC composition of the white matte screen makes it easy to maintain and provide clean images from the projection. It has black borders on its edging where 20cm of the back drop is for video format screens and 50cm back drop is for widescreen format. They are powder black borders that serve to prevent any reflection or any overlap of the projected images. 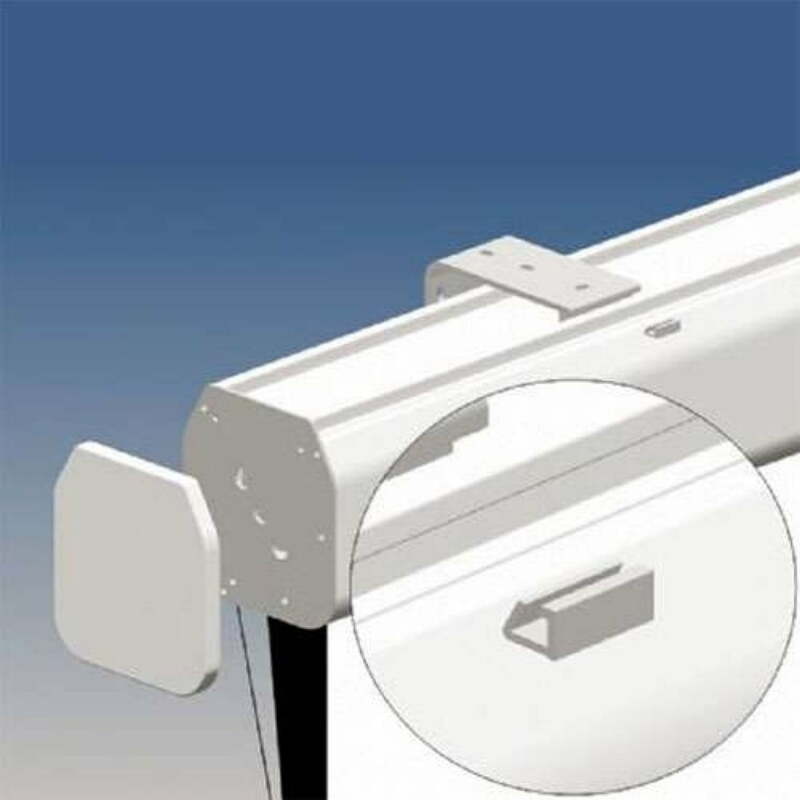 The screen case is made of a lightweight aluminium and in a sleek white finish. You can easily find the motor for raising and lowering the screen on the left of the screen case. The control switch is also supplied with the kit.